Want to be involved with the birth of your baby? Bring your partner and join pre-natal expert and teacher Mary-Louise for an afternoon to Educate, Inspire, Empower and Nurture yourself and learn how to involve your partner in Labour. Mary-Louise spent 20 years in the IT industry and was one of a hand-full of women who reached the status of General Manager of a US computer company. After the birth of her first child she qualified as an IYTA teacher. She went on to study many different yoga styles, including Iyengar and qualifying as one of the first teachers of Dru Yoga in Australia. She has always been an advocate of natural child birth and the benefits of yoga throughout pregnancy. She established a large following at her Harbord Yoga Centre where she introduced one of two major pre-natal yoga schools in Sydney. She is a counsellor and has written a book for new mothers, helping to deal with the emotions of motherhood. 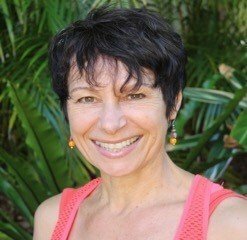 She leads regular training and pre-natal certification for yoga teachers for IYTA and Dru Yoga teachers.